It's that time of year again. Time to clean up the torn wrapping paper and throw away the spent bookstore gift cards and take stock of what sort of a year I had as a reader, writer, and reviewer. Since so much has happened to me this year, I decided to spare your attention spans and divide them into separate blog posts. Let's start out with how I spent my year as a Reader. As a Reader, I finished 81 books this year (counting rereads) - slightly less than 2012's record of 90 books. 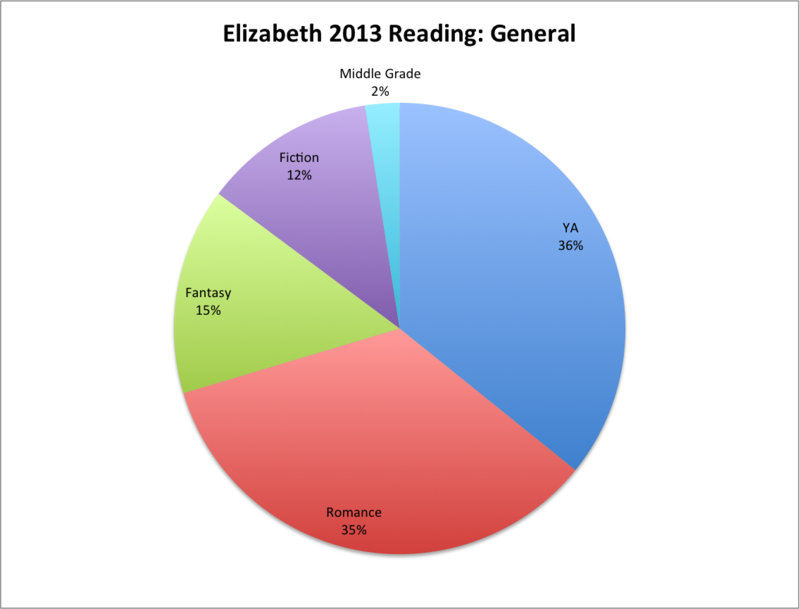 This year really surprised me - it's the first year I read another genre more than romance - it's amazing how quickly I fell into reading YA, to the point where it outstripped my romance reading (if only by one book). 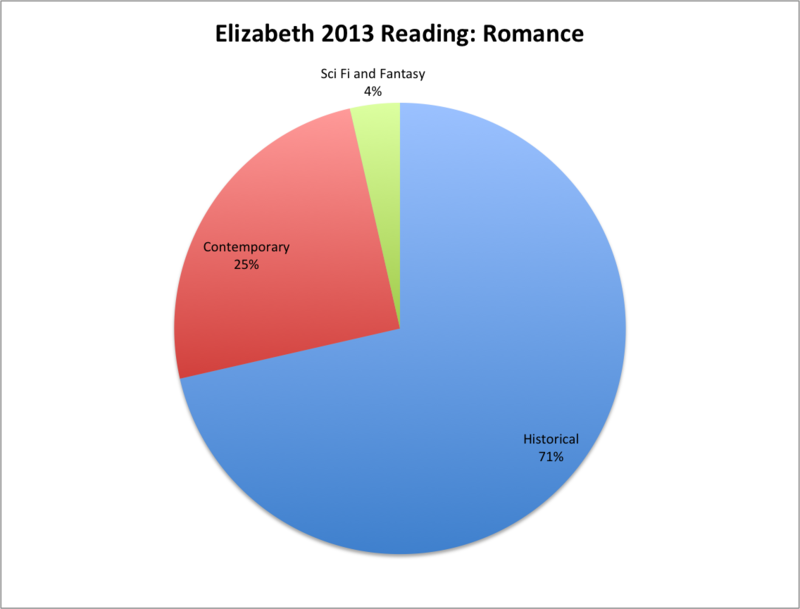 I've learned from my mistakes reading romance, however, and will spend 2014 diversifying the genres I read to prevent me from burning out. 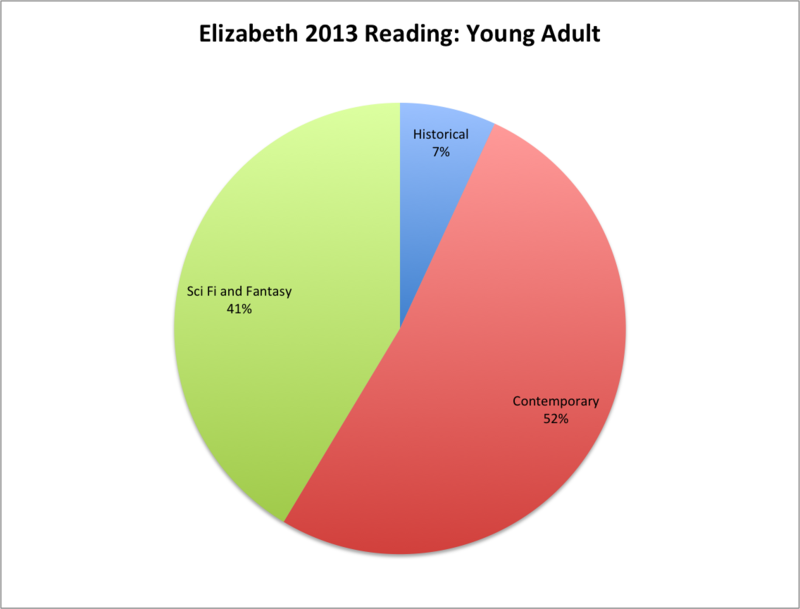 How did you spend 2013 reading?